Firmware upgrade may not be successful sometimes, for instance unpredictable power failure during the process, and thus your Pharos device may fail to reboot. 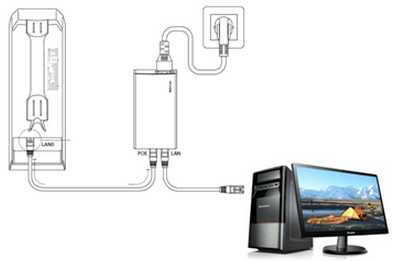 This article will guide you how to re-flash the firmware via TFTP. 3. Configure IPv4 address of your computer as 192.168.0.100/255.255.255.0, you can click Here to configure static IP for the computer. 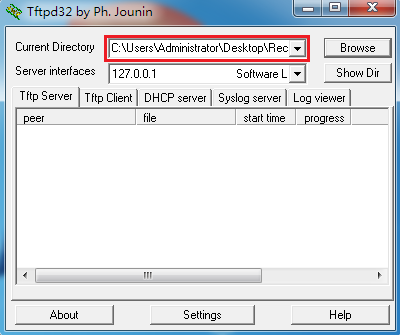 Connect your computer to the LAN port of CPE510 with an Ethernet cable and run the Tftpd32.exe, then navigate the Current Directory to the folder where recovery.bin is stored. Power Pharos device off first. Press the reset button on CPE510 and then power it on. Hold the reset button for about 6-8 seconds and focus on Tftpd32.exe interface at the same time. When you see the file transfer progress bar appears as below, then you can release the reset button. CPE510 will reboot automatically after the file transmission completed, please wait for a while until all the lights on CPE510 are flashing and then perform normally. After reboot you may follow this link to login the management page of CPE510 again. 1. Please only perform firmware recovery through wired connection. 2. Tftpd32 exe/Tftpd64 exe should be compatible with the Operating System, Tftpd32 exe should work with 32-bit System and Tftpd64 exe should work with 64-bit System. Est-ce que ce FAQ a été utile ? Vos commentaires nous aideront à améliorer ce site. Cliquer ici pour contacter le service support TP-Link.